Shift your organisation to a proactive compliance approach to ensure you meet any legal or internal obligations. Ok, let's talk about Compliance? 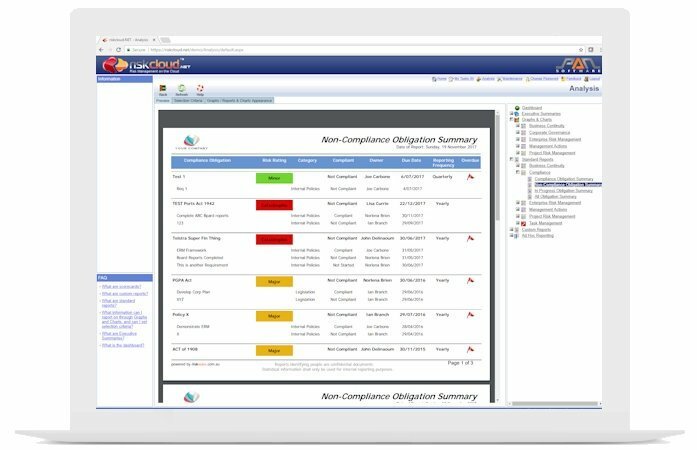 Never lose sight of your organisations compliance obligations. 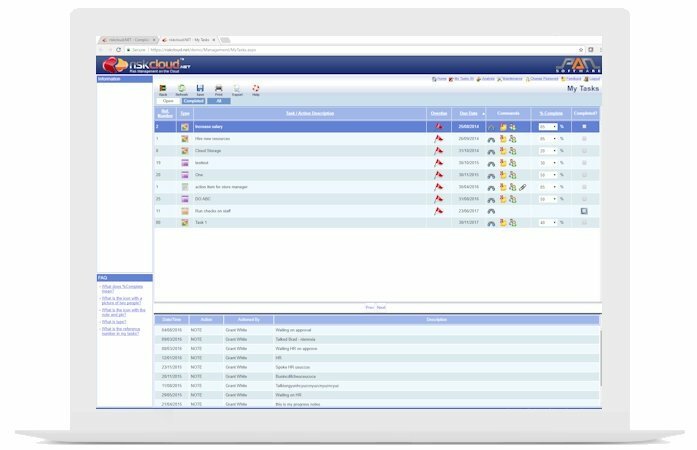 Whether you need to comply with legislation, regulations or internal policies, the compliance module has your back. Intuitively determine the impacts of non-compliance to allow your organisations resources to be allocated and prioritised to maximise efficiency. 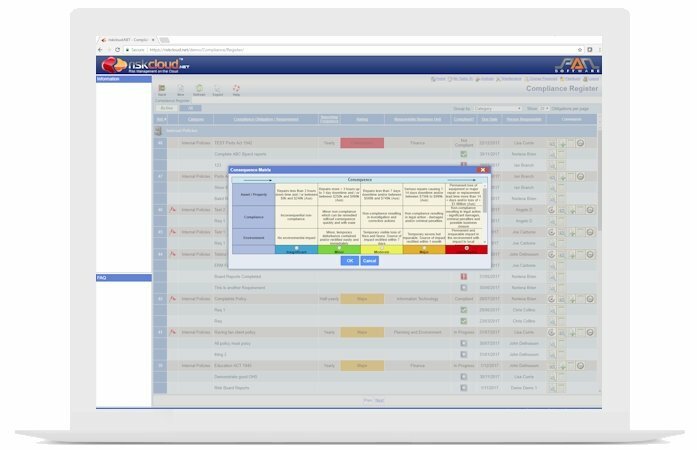 Easily and quickly assign compliance obligations and requirements to appropriate personnel and then let the Compliance workflow rules ensure obligations are met within their designated timeframes. 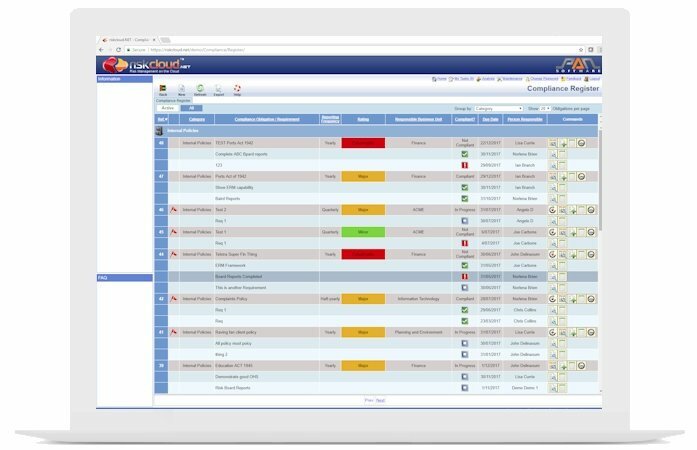 A variety of standard out-of-the-box reports enable managers to quickly and easily determine their compliance environment in realtime. "The configuration of the business enabled us to have alot of scope in what we wanted to include. Tennis Australia and our member associations have different frameworks. We needed a system that could cope with those different frameworks."